Over the last few years I have flow on a few photography flights over New York City with FlyNYON / NYonAir (https://flynyon.com/). They are a company the specializes in NYC related aerial content, like stock photography and video, as well as other types of helicopter related entertainment production. 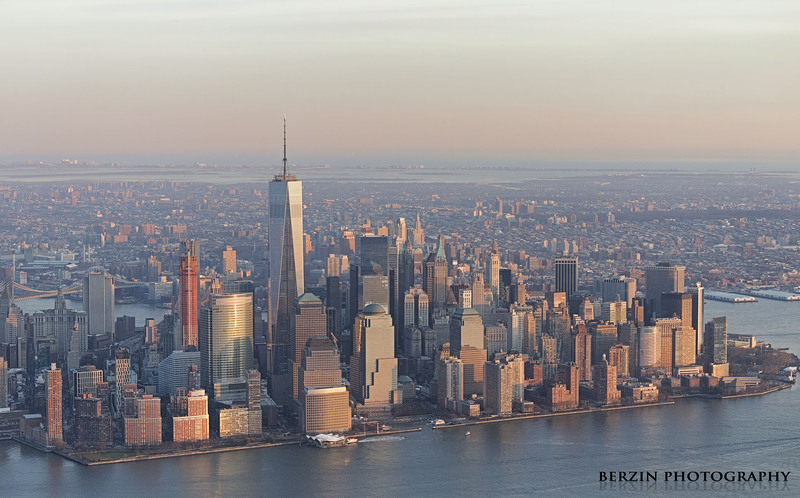 For my first flight, which I describe in this series of blog posts, we took off at around 4:00 PM and flew for 30 minutes around Manhattan and the Hudson River, aligning the timing with sunset. The during FLyNYON’s photo flights the doors are open (or removed in my case), which makes for some of the best over-city photography imaginable. Over the next few posts I will be posting a series about the experience, including the gear I used, the route, camera settings, and finished photos. I ended up taking about 500 shots during the flight, and I had far fewer blurry and noisy shots than I expected. Many of the scenes were taken in burst mode, meaning some duplicates, but the unique vantage point makes nearly all of the shots fun to look at and edit. I took two FX Nikon bodies with me, I think, after some discerning editing, I will end up with around 50 really great finished photographs! For now- have a look at the some GoPro video clips of my various flights with FlyNYON. Excuse the bad editing- its my first attempt at playing with videos- I am better with photos. For tips on gear to bring and camera settings see here and here! See and follow the BerzinPhotography Instagram (http://instagram.com/berzinphotography/) account for posts of photos as I finish them! First- moving from the center seat, down to the floor of the chopper. The best seat in the house! Downtown NYC at blue hour! More of the WTC / FiDi area- amazing at night with the lights on!